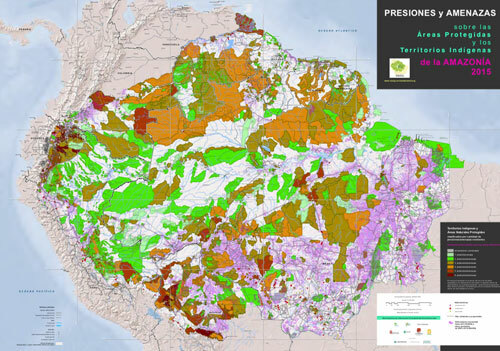 The map presents a classification of indigenous territories and protected natural areas according to the presence in these of highways, hydroelectricity, mining, burning, deforestation, and oil and gas. 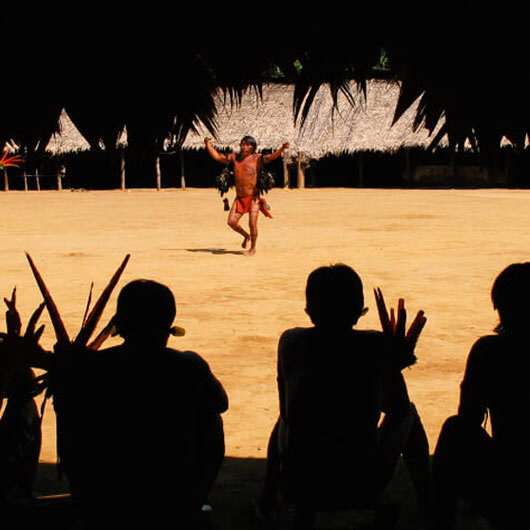 These have been the main causes of landscape change in the Amazon over recent decades. Pressure is understood as human activity that puts at risk ecosystem integrity and the collective rights of its inhabitants. Threats on the other hand are future planned activities that may become pressures if implemented. Information and analysis on deforestation and degradation, natural resource concessions and exploitation applications, and infrastructure projects.